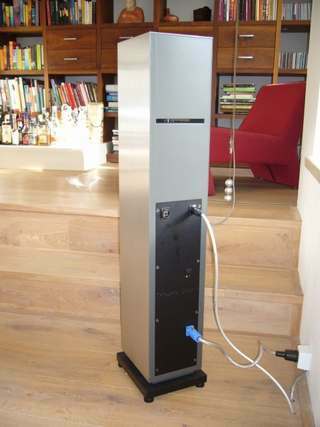 When a DIY person starts out he often have seen a nice loudspeaker somewhere and thinks "That one I like - I will build one just like that". I think the same happened to "The Pimster". He liked the Seas Delling - but as it often is he also like the Seas Froy and then he compared the Seas Froy tweeter and a ScanSpeak tweeter at his local DIY shop. 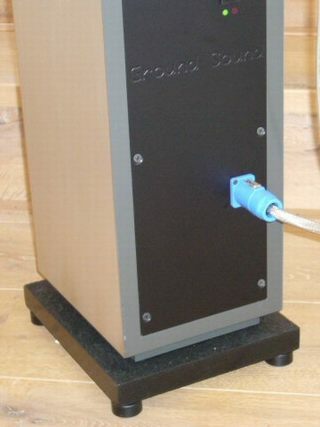 Now he ended up with a system of his own - A Seas Delling look-a-like box, Seas Froy volume / port and bass drivers - and ScanSpeak tweeter. That's the very nature of a real DIY'er - you are probably just like that too ! Our active solution makes it much easier to mix ideas and still coming safe ashore. "It seems your system is very flexible, therefore I would like to buy the two Coolback303's"
The problem is solved; I have to use COM4 and COM5 to update the DCN with the XP laptop. This works fine ! The sound is great, clean and crisp, just as I like. I suppose as the units run in - the bass response will increase a bit. 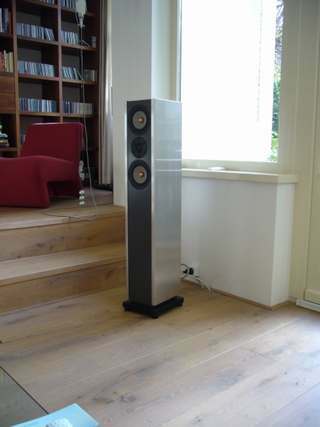 I have compared them to my commercial active loudspeakers (approx € 6000). The new ones with your electronics in them are much better, less noise, less susceptible to RFI (from DECT end GSM) and far more dynamical than the crappy chip amps used in the commercial loudspeakers. I expect the imaging will improve during time. The "old" loudspeaker will be sold! 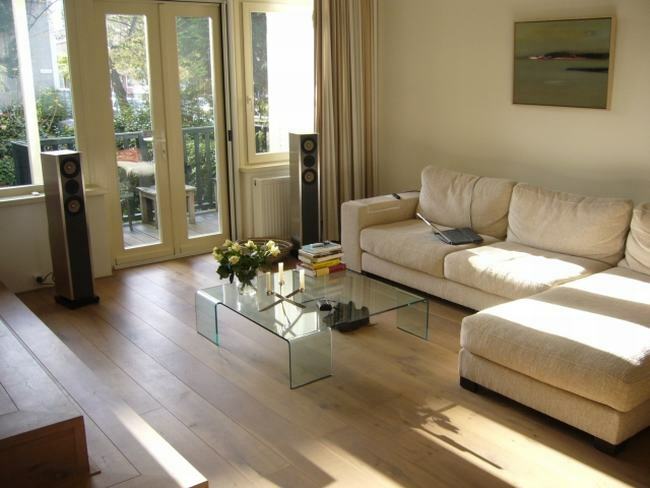 These active loudspeakers are built to replace some others, that produce too much bass for my room. The big room has a wooden floor and some nasty resonance peaks. I chose (or rather gambled...) to go for the proven (lightweight) loudspeaker configuration of the Seas Froy, in combination with the very versatile electronics from Ground Sound, the Coolback 303 with the digital crossover and 3 amps of 180 Watt each. And then: after the assembling there was the listening, with a theoretical filter configuration since I had no measuring equipment. I used the FRD files for the drivers, which I Googled on the internet. I set the crossover at 1800hz LR4, added baffle step compensation at 400hz +2db, and configured a high pass at 35 hz. I programmed the notch filter for the woofers (which have a resonance peak at 8200hz) as well. In first instance I thought about a conventional notch filter (LC), but the notch from the digital filter is sharp enough. The sound is really amazing with this test filter. It is so easy to change filter setting, it takes only 1,5s to program the DCN23 ! Changes/differences can be heard immediately. 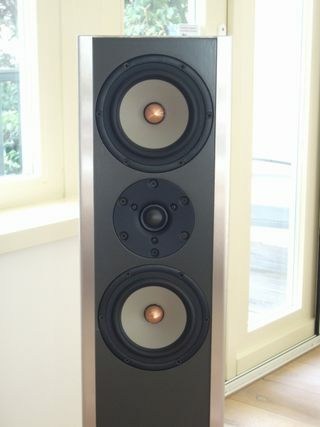 Compared to my old (expensive and famous) loudspeakers, these ones are crisp and clean with lots of detail, depth and height, but not "cold". 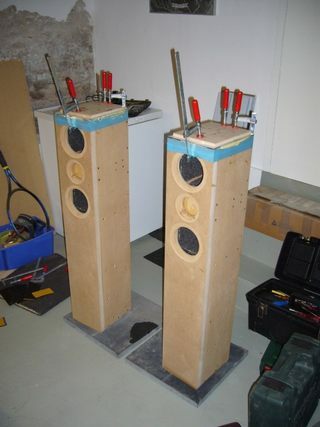 The next step: The speakers are now ready, but I assume that an even better result can be achieved by measuring the units in the enclosure I built. This is also what Robert told me. Therefore I've recently bought the ATB PC Pro package from Kirchner, which I have to get acquainted with before I can make my final filter settings. This simple tool provides phase information to optimize the filter settings in the crossover region, and SPL information for room correction. 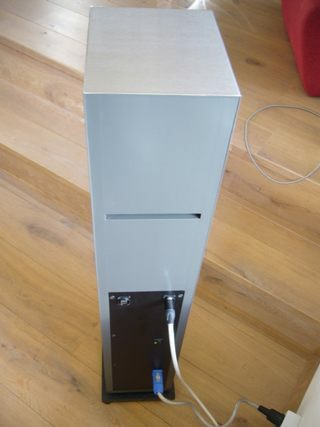 All in all: a lot of fun in thinking, building and listening, resulting in a unique loudspeaker that sounds great, thanks to the electronics of Ground Sound. 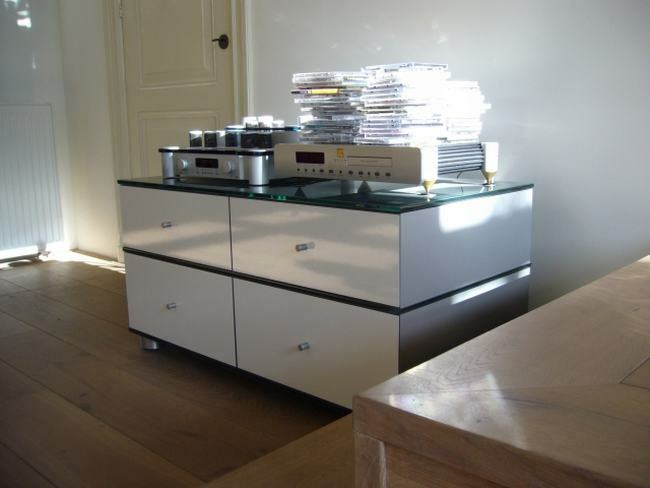 When you have active loudspeakers you "only" need a CD-player, a pre-amplifier and a lot of discs...High WAF ! Maybe you got inspired to a project of your own ?